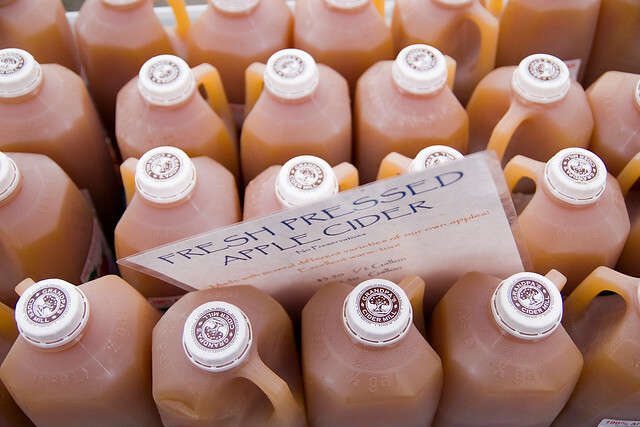 In many parts of the U.S., it’s still possible to get fresh apple cider at your local farmer’s market – but it won’t last long. There are two traditional ways to make cider last longer: making hard cider and making vinegar. Buy a jug of preservative-free cider. Pasteurized is okay, but unpasteurized is better. Pour out a glass or two for drinking. Leave the rest in the jug. Cap the jug loosely – don’t twist the cap shut – and stick it in a cupboard. Forget about it for a few months. Find it one day while you are looking for your potato masher. You will notice that most of the pulp has settled out to the bottom and a gelatinous or rubbery mass is floating in the cider. Don’t let it scare you. Pour out some cider. Taste it. Voila! It is vinegar. Sometimes the gelatinous mass looks like this, but sometimes it’s more nebulous. Photo by Hella Delicious. A thinner mother. Photo by Charles de Mille-Isles. The mother is edible, but I usually compost it. You can also save it to give to friends as a “starter,” but I’ve never needed a starter for making vinegar except when trying to vinegarize commercial wines, which contain chemicals to discourage acetobacter from multiplying. The above procedure is pretty foolproof, but there are two ways to mess it up. The worse error is to buy cider with preservatives, since preservatives are designed to prevent cider from becoming vinegar. The other mistake is not to pour off any cider before you put the jug away. As the cider turns into alcohol, it forms bubbles. A full jug can bubble over and make a mess. 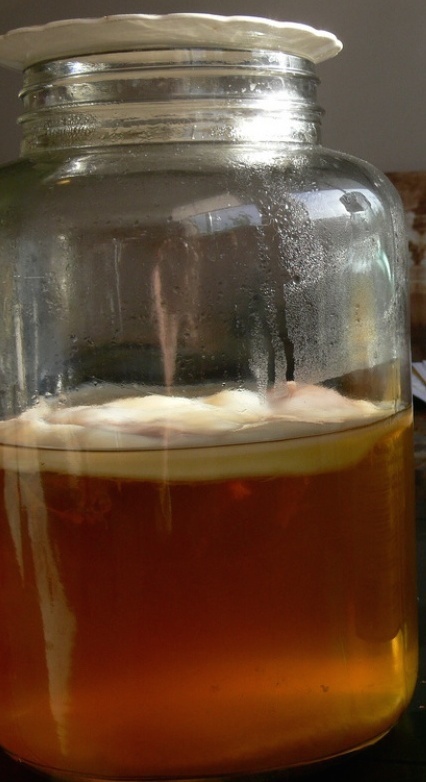 Failing to pour out cider also means you have less air in the jug, which slows down the acetobacter. A few years ago I pulled out an aging jug of cider that apparently hadn’t gotten enough oxygen. When I poured it out to taste, there was none of the characteristic sour taste of vinegar. All I got was the smooth, dry flavor of hard cider. The concoction had never gotten past the alcohol stage. It was a crying shame. Want to learn more? In future blog posts, I’ll explain how to make other types of vinegar and outline a more methodical (and reliable) way of making hard cider.